Would you like to reach out a consultant you met in a 2PS event, or to use a shortcut to access easily all the consultants you have worked with or you want to work with? 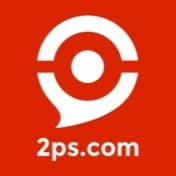 You look for a way to keep in touch with 2PS network members? Say hello to Contacts. At 2PS, we got that you will probably not do business with a consultant you never met before. That’s why 2PS never wanted to be a web platform, but a real network of experts who know and trust each other. We want to leave our Facebook and LinkedIn wrong habits of collecting more or less close (even unknown) contacts behind. How ? By multiplying the opportunities of meetings (M33TUPs, 2PShows, 2PSHOPs, C4LLs) and fostering members to see each other in private (private M33TUPs). Contacts is made for it. You can now keep a track of your meetings with other members and add some consultants to your favorites, to have a quicker access to their information. But it is also a powerful tool to win new points and foster members to meet themselves more. A gold star means that the consultant is already in your favorites. If you click on the star once again, it will delete this contact from your favorites. If the star is grey, it means that the consultant doesn’t belong to your favorites yet. You need to click on the start to add him/her. In fact, only members you might have met in the last 2PS events can be visible. If you don’t have any recommendation, you need to attend more events. If the contact you are looking for is not recommended to you, you haven’t attended an event together yet. We often remind you that selfies between 2 members are very important. It shows that a first relationship and collaboration happened at least, but more than anything proves your commitment to collaborate within the network. By opening the tab “Contacts”, you can notice how important the selfies are in each contact card. You must fill as many cards as possible, with selfies. How? It is very simple, upload your picture to the card of the person with whom you took the selfie. Once the upload is done, the picture will be pending until the other person on the selfie accept the identification (the hourglass symbol on the picture). He/she will be notified by mail that she was identified in a private M33TUP. Both of you will receive one sharing point as soon as the identification will be accepted, and the picture will be visible in each of your cards. An example of a pending picture and one approved by the other expert. However, be careful, this picture has an expiry date. You must replace it with a new one within one month, otherwise, the card will be empty again. The more selfies and the more cards you will have, the higher your percentage will be. Thanks to a high percentage, you will receive even more points, badges, and gifts that will testify your commitment to the community (in progress).